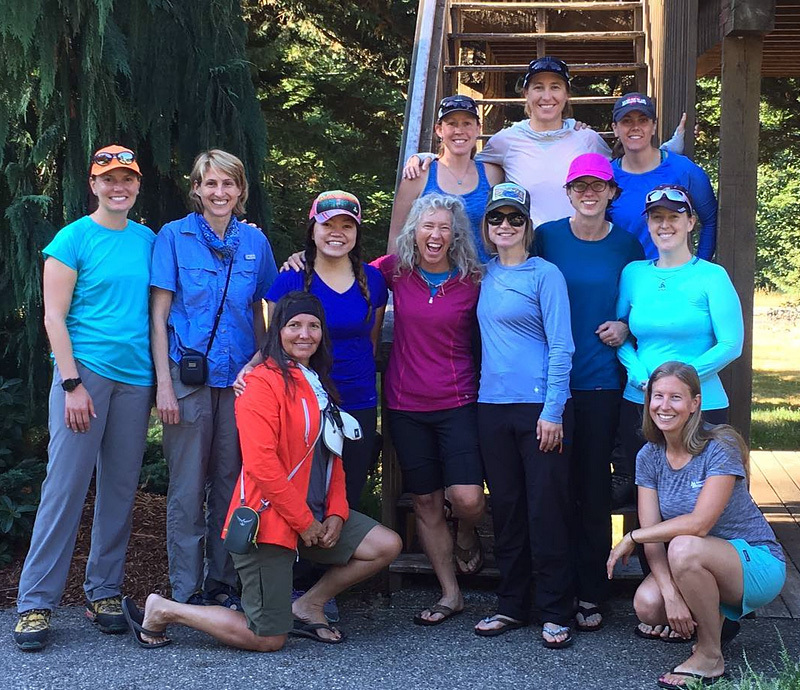 Join us June 27-30, 2019 for an all women's climb of Mt. Rainier. This program will be identical to our standard 3½ day Muir/DC Rainier summit climb. It will be led by female IMG guides, and you will be climbing in the company of other strong women with a common goal. Our 3½ Day Ingraham Glacier/Disappointment Cleaver summit program is designed for those who want a more individualized training and less hurried approach to climbing on Mt. Rainier. This program is superior to the traditional two-day climb by providing the training in more manageable sections and gives you an extra day to acclimatize to the altitude, as you ascend the mountain and enjoy the majestic alpine environment with your climbing team. Climbing with a 2:1 client-to-guide ratio provides a superior level of safety, education and support. Our group size is never larger than twelve (8 climbers and 4 guides). We make use of two camps on the route: IMG's shelter at Camp Muir at 10,080ft and an established tent camp at The Flats at 11,000ft. These camps make for shorter climbing days and most importantly a shorter summit day due to the higher altitude of The Flats. We maximize training by adding a half day pre-climb orientation and instructional meeting at IMG's Headquarters in Ashford, just outside the park. Learning to climb safely and efficently continues en route during each day of the ascent. This increases acclimatization, minimizes total days for the trip and allows for training to be conducted on the mountain in real conditions all the way to summit and back. IMG employs a light and efficient philosophy for climbing. To minimize the weight on your backs we provide shelter, stoves, fuel, cook wear and group climbing gear (ropes, pickets, shovels, etc.) for you at each camp. Climbing without these the first day (4,600 ft. of elevation gain) is a definite advantage and allows you to arrive at camp more rested for the climb ahead. We will help you review your personal climbing gear carefully prior to departure to make sure you are not carrying any unnecessary weight up the mountain. Total personal gear including filled water bottles should be approximately 35 pounds, excluding your boots and ski poles. IMG provides breakfasts, dinners and hot drinks for the group on the mountain. We use these opportunities to train but also feel this adds considerably to the experience in terms of convenience, comfort and camaraderie.